Dark patches, uneven skin tone, imperfections in the skin are irritating aspects of every woman’s life. All of us crave for clean, even-toned skin. But skin pigmentation comes in way of attaining it. 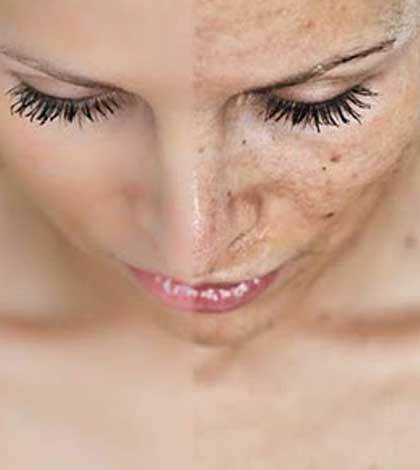 One of the major causes of skin pigmentation is exposure to the sun and pollution. Sometimes, it can be genetic too. Scars from acne and pimples can also cause pigmentation. Sun exposure can be tackled with the use of sunscreen. Covering the face with a scarf and avoiding pollution can help reduce pigmentation to a certain extent. There are some simple home remedies that will help you heal the pigmentation of your skin. These easy to make skin treatments make use of ingredients that are readily available! Mash some aloe vera and squeeze out its gel. Dilute with a few drops of water and apply on thoroughly cleansed face. Leave it for half hour and wash off with cold water. This helps in clearing out spots and pigmentation. Mix the juice of half a lemon with two tsp of honey. Lemon has bleaching properties and is also effective in countering acne. Honey will help moisturize your skin. Apply the concoction on your skin for fifteen minutes and wash off for a visibly cleaner skin. Oats are great for exfoliation as they help slough off dead skin and give you a fresh look. Mix some powdered oatmeal mixed with a few tsp of milk ( if you have dry skin) or yoghurt ( if you have oily skin) to form a smooth paste. Apply it all over the face in circular motion and leave it on for fifteen minutes. Wash off to get smoother skin. 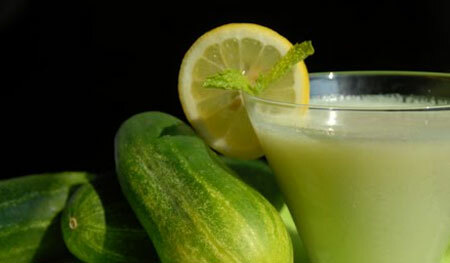 Cucumber has cooling properties and heals acne. It also helps repair sun damage. Grate cucumber and squeeze out the juice. Apply it over your face. Use the gratings to cover your eyes and rest yourself for half an hour. The nap and the cucumber juice will only leave you really fresh! Potato is very effective against dark circles. Along the same principles, it also helps in reducing skin pigmentation. Grate potato and squeeze its juice on the skin. Allow it to dry before washing it off. This helps lighten blemishes. If you have an overripe papaya, the best way to put some of the pulp to use is through a mask. 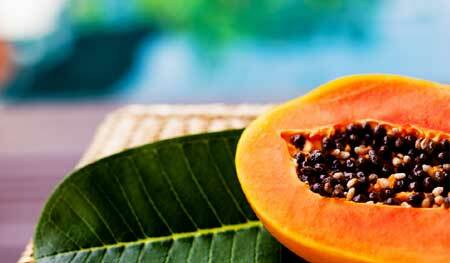 Mash a small piece of papaya and apply it on the face. It counters acne and also evens out skin tone. Tomato is known to lighten the skin tone. Apply tomato pulp on the face for about half hour and wash off. Repeat this weekly for a cure against blemishes. There is something really refreshing and cooling about mint. It has skin lightening properties too. Crush a few mint leaves; apply on dark patches in the skin. Soak in the tingling sensation for a while before washing it off. With regular use, sandalwood lightens skin tone and also reduces the oiliness of the skin. Apply a paste of sandalwood with rose water and apply it on the skin. Wash it after it dries. 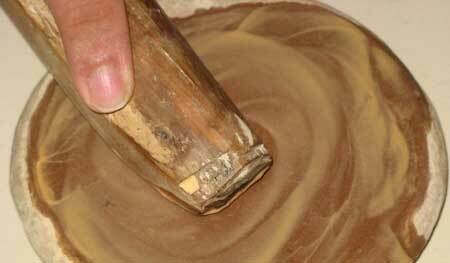 Almond paste is great for getting rid of dead skin cells and also moisturizes skin in a good measure. 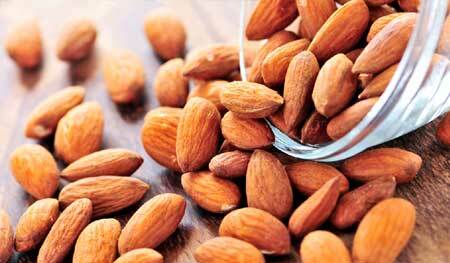 Soak some almonds in water and grind them into a coarse paste. Keep a little coarse paste aside and make a fine paste of the remaining almonds. Wash face and scrub damp skin with the coarse paste. Wash it off and apply the fine paste as a mask. Leave it on for half hour before washing it to reveal soft and renewed skin. Along with all this, drink lots of water, eat a balanced diet and protect your skin against the sun to get even toned skin.